Thanks to Molly from the wonderful Bumbles Blog for creating this meme! This week’s theme is: Encore Presentation. Make sure you check to what the upcoming Monday Movie Memes are! What kind of movies do you tend to watch over and over again? The genre of movies I most often play on loop is probably animated movies, and it’s usually Disney. Not only are they childhood favorites, but watching as an adult 22-year-old child I can appreciate jokes or subtleties I missed as a child. Kids/families are so fun and happy, and I’m pretty much always in the mood for them. I have a Toy Story tattoo with my sister, The Lion King is my favorite movie of all time, I base all my decisions on emulating Princess Jasmine and have an extraordinary list of cartoon crushes including Aladdin, Dmitri, Flynn/Eugene, Jack Frost and Tadashi. These are the kinds of movies that I will watch at pretty much any time, and movies I often choose as my watch-a-movie-while-I-go-to-sleep movie. Also anything with a Boston accent and/or heist. What’s the movie you’ve watched the most? The Lion King. Probably. I have no actual way of knowing this but it’s my best guess. This was the first movie I saw in theaters and it was love at first sight. I loved The Lion King before I even saw it, I would watch the preview for it on my Aladdin (which is probably a close second) VHS tape and get so excited every time the music started. I listened to the soundtrack before the movie came out, so I already knew all the words before I saw the movie. 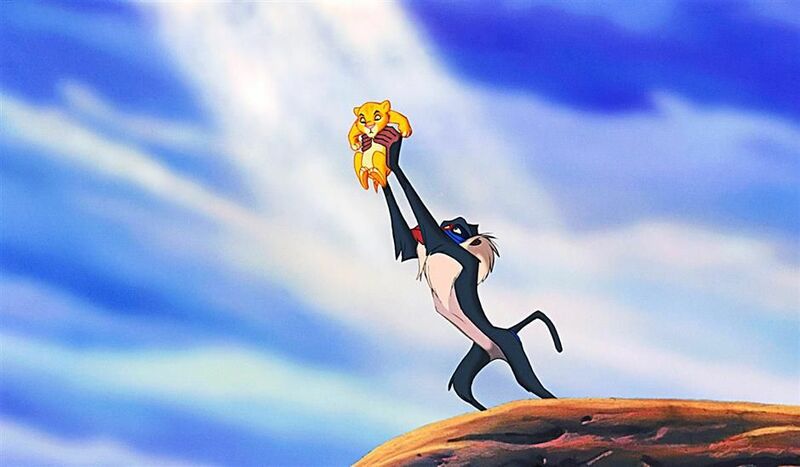 I was three-years-old so I don’t remember, but I’ve been told that soon as “The Circle of Life” started playing in the theater I got so excited I stood up on my chair and started singing. I was so in love with The Lion King my parents took me to see it several times and I referred to the movie theater as “Mufafa’s House,” thinking showing The Lion King was the only purpose of the building. I was none too pleased when one day my parents took me to see Pocahontas and “Mufafa” was nowhere to be seen. Needless to say, soon as I had the VHS tape I watched The Lion King on repeat pretty much for the next 10 years. At that point I got the DVD and I still haven’t stopped watching since then. What’s a movie you’ve only seen once but want to watch again? 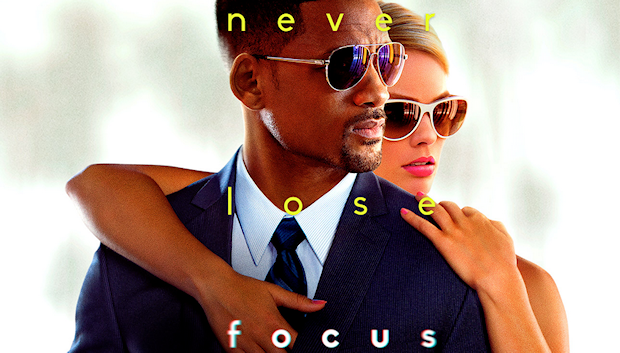 Focus starring Will Smith and Margot Robbie. I have a sick obsession with cons and heists. I also have a sick obsession with Will Smith (and his family). So a movie where Will Smith plays a con artist was destined to be an instant favorite for me. I remember the first time I saw the trailer for this, I went to see Horrible Bosses 2 (another movie I want to see again) and I nearly shat my pants in the theater from excitement. I went to see it opening weekend and obviously loved it. Not only do I want to see it again because I liked it so much, but I always like watching con/heist/plost-twisty movies again and try to find the clues/hints I didn’t catch the first time. Knowing the end of the movie allows you to appreciate the beginning and set up for what’s about to happen so much more. You can really see how everything ties together. Thanks to Molly from the wonderful Bumbles Blog for creating this meme! This week’s theme is: Great Expectations. Make sure you check to what the upcoming Monday Movie Memes are! What’s the last movie you saw that was much better than expected? Hmm…the first movie that comes to mind is A Million Ways to Die in the West, with Seth MacFarlane and the beautiful Charlize Theron. When I saw the trailers I knew I wanted to see it but didn’t have super high expectations for it. It looked funny, but “dumb” funny. When my family rented it from RedBox and popped in the DVD player on a Friday night, I was pleasantly surprised! Yes, it was really dumb, but it had a lot more funny than I anticipated. While there were definitely parts that made my groan and/or roll my eyes, I thought it was hilarious and now my family quotes it all the time. (“People die at the fair!”) Now it’s on HBO frequently and I’m always happy to watch whatever part I happen to flip on to. What’s an upcoming/newly released movie that you can’t wait to see? Wow are there a lot of movies I want to see coming out this spring/summer/year. (In no particular order) I’m wicked excited for The Hunger Games: Mocking Jay Part 2, The Avengers: Age of Ultron, Star Wars VII (the new trailer gave me goosebumps), Pitch Perfect 2, just to name a few… But one that’s coming out sooner and one of the ones I’m most excited for is Jurassic World. Not only is Jurassic Park in my top ten favorite movies of all time, but the Jurassic World trailer is so beautiful and perfect it nearly brings me to tears. Between the new dinosaur hybrid (obviously a terrible idea), the action sequences, the magnificent Jessica Chastain’s Academy Award worthy yelling of “RUN,” heart throb Chris Pratt riding a motorcycle alongside velociraptors and the classic John Williams music playing in the background at just the right times, there is no way anyone can not be excited for this movie. However, I am a little nervous because I did not like The Lost World: Jurassic Park. But I did like Jurassic Park III which brought back my favorite character, Alan Grant. So, the lack of Dr. Grant makes me a little nervous…but I still can’t imagine being disappointed by Jurassic World. **Full Disclosure** I watched the trailer again (for the 426th time, probably) and still got goosebumps and welled up with emotion. June 12 can’t come soon enough. What’s the last movie you saw that was much worse than expected? Every year I watch all the Oscar nominated films for Best Picture, Actor and Actress. So, once a year I watch a lot of critically-acclaimed movies that aren’t necessarily people pleasers. 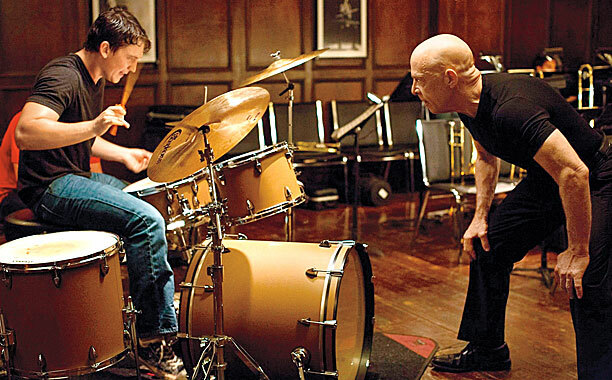 While I watched a lot of movies that I didn’t really like, one that I was expecting to like but didn’t was Whiplash. I thought JK Simmons was great and totally deserved his Oscar and I am a fan of Miles Teller…but I really did not like this movie. Neither character was really likable and it’s not a very exciting movie either. I also don’t see why it was nominated for Best Picture. What’s an upcoming/newly released movie that you couldn’t be paid to see? Unfriended and Before I Wake…they both look like they might be good, but I hate horrors. I find no joy in being terrified, it only keeps up at night and makes more afraid of the dark than I normally am. The only way I could be convinced to watch a scary movie is if Ansel Elgort, Dylan O’Brien, Josh Hutcherson, all/any member of One Direction and/or a Hemsworth promised to watch it with me and keep me safe through the night. I went looking at various book tags and thought this one would be really fun. I owe this one to Casey @ inspiredbythepage (her blog is awesome), who found it at toddmedicii‘s page who found it on Katytastic‘s BookTube channel. On to the tag! I don’t have a system for picking what to read next. Sometimes it’s because I just found out a movie is coming out in the near future, it could be binge reading a series or just that a book on my shelf jumped out at me for no particular reason at all. This used to be much more of a problem for me. I’m pretty obsessive compulsive and used to have the hardest time finishing books I hated because I absolutely refused to abandon it. But after reading a few pretty crappy books in a row I had an epiphany. Forcing myself to sit down and read a book I hate was not how I was going to spend my time. I love reading, and if I have to force myself to finish a book then I’m wasting time I could be spending reading a book that I actually enjoy. Oh man do I hate losing. It’s especially terrible not meeting the Goodreads Reading Challenge because I literally (or literarily, hehe) set myself up for failure. Last year I tried to catch up by reading the 3 books from the Hogwarts library (which take no time) but still came up short. It’s devastating, but sadly I don’t have a surefire secret way to always meets the Goodreads Reading Challenge. The Internet, hopefully. Or one of my best friends likes to read almost as much as I do and we generally agree on books, so we bond often. Although he doesn’t read as much as I do so sometimes I have to turn to fellow bloggers until he catches up. I am definitely a crier. I have ugly cried reading books, thankfully not in public. While I’ve shed a few tears on the train or on a park bench, I haven’t full out lost it in a public place (yet). But I can’t stop reading, especially at such an important/emotional part. I have to power through and cry in public, haters gonna hate (hate hate hate hate). 7. A sequel of a book you loved just came out, but you’ve forgotten a lot from the prior novel. Will you re-read the book? Skip the sequel? Try to find a synopsis on Goodreads? Definitely not skip the sequel. It depends how much I liked the first one and how quickly I read it. If I loved it and/or it was a quick read I would likely read it again. But if I only liked it or it took a long time, I would try to find a synopsis online or ask a friend who read it. Maybe read my blog if it was a book I reviewed. I do let my friends borrow my books…but they know I love my books more than I love them so they know to handle them with great care. When anyone asks to borrow I book I feel two emotions simultaneously, immediately and intensely: 1. YAY! BOOKS! SOMEONE WANTS TO READ BOOKS! IT’S SO GOOD, YOU SHOULD READ IT! WE CAN TALK ABOUT IT AND IT WILL BE GREAT; 2. THIS IS MY BABY YOU CAN’T TAKE MY BABY! WHAT IF YOU HARM MY BABY?! I wish I knew the answer. I think just takes a really good book, but there’s no way of knowing what book will do it for me until I start reading it. Generally, I don’t like to be reading two books at the same time, so if I’m in a reading slump with a book it can take me a while to finish. If it’s a bad book I’ll put it away and start a new one, but if it’s a good book and I’m just in a slump…I don’t have a cure. It depends on the cost tbh. I love owning books and want to have Belle-sized library one day so I’ve stopped borrowing library books, but as a twentysomething drowning in debt I can’t really afford it. So, I always turn to one of my favorite book sites Thriftbooks to buy my books. It’s a brilliant way to buy used, cheap books (with free shipping!). But the books I want aren’t always available or still too expensive for me. I almost always wait until the price is a single digit before I buy it. Unless it’s a series and I really can’t wait to read it, then I’ll splurge. There is no one answer, sometimes a book comes in and I start reading right away. But there are some books on my shelf that I probably bought over a year ago that I still haven’t read. It depends on if it’s in a series, if the movie is coming out, on my mood…pretty much the same answer as the first question. Thanks to Molly from the wonderful Bumbles Blog for creating this meme! This week’s theme is: The Year You Were Born. Make sure you check to what the upcoming Monday Movie Memes are! What was the highest grossing film that year? Have you seen this film? What did you think of it? What movie won the Oscar for Best Picture that year? Have you seen this film? What did you think of it? 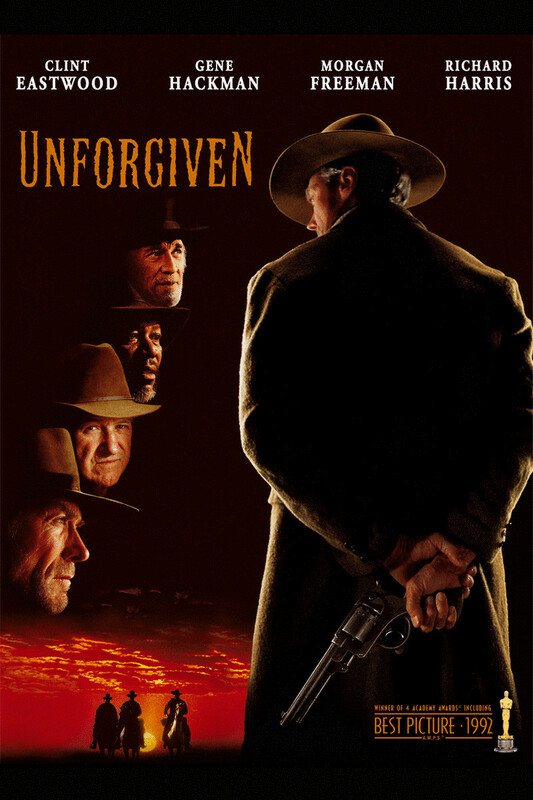 Unforgiven. I’ve never even heard of this movie until right now, so no. It’s a western and I hate westerns…so I’ll probably never see it. What is your favorite movie from the year you were born? Aladdin, without a doubt. Not only is it my favorite movie from the year I was born, but it’s one of my favorite movies of all time. 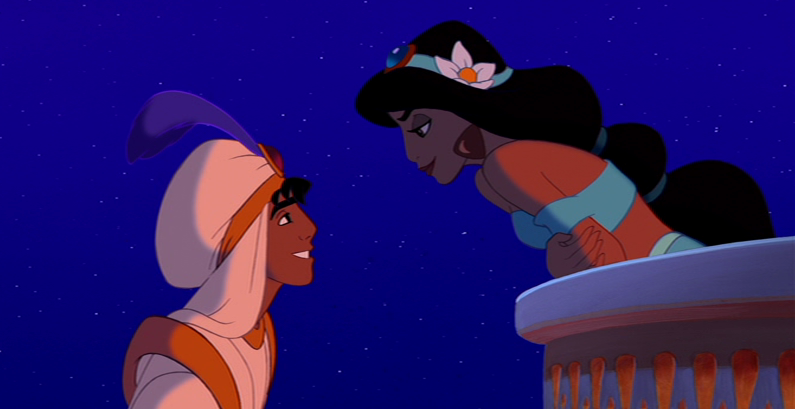 I don’t think it’s a coincidence that the world was blessed with both Princess Jasmine and myself in the same year. I am destined to be Princess Jasmine. I have made most life decisions by asking myself: what would Jasmine do? One day I will have a tiger and lovable street rat husband of my own. 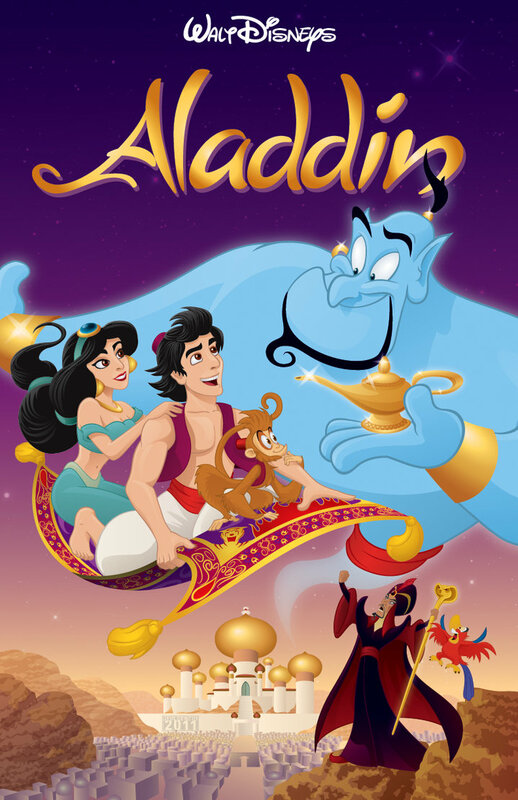 Even if I wasn’t meant to be Princess Jasmine, I would still love this movie. It’s funny and sweet and the songs are magical. 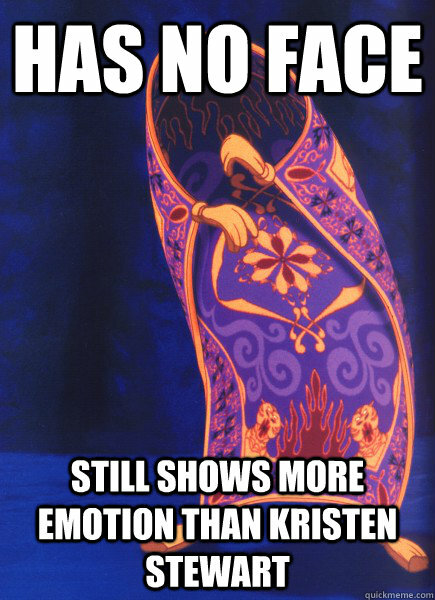 Aladdin even makes you love a faceless character (*ahem* The Magic Carpet). Not mention Aladdin was probably my first crush ever and the reason I love criminals. This movie is pretty much flawless. First and foremost I’d like to thank Poulami AKA Nerdybirdy at Daydreaming Books for the nomination! I was so excited to see this notification pop up on my phone. 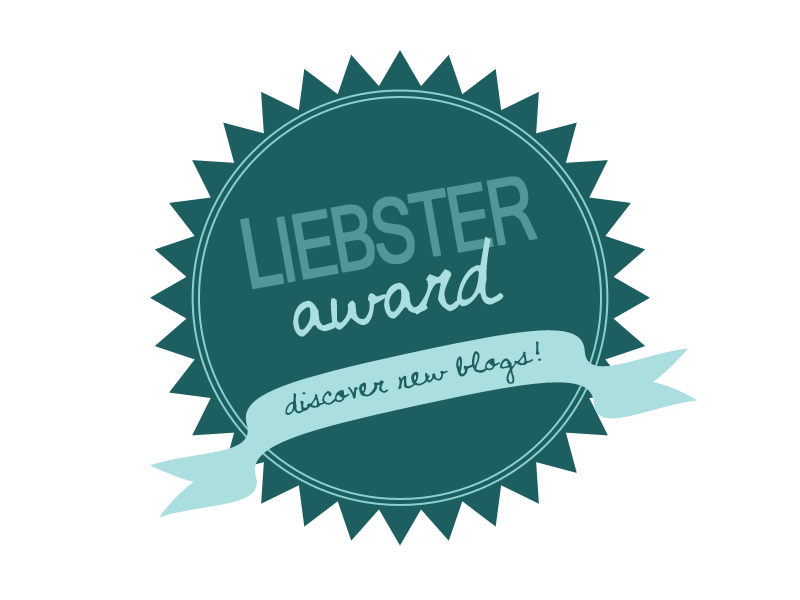 For anyone who hasn’t heard about the Liebster Award, it’s just a fun little award for bloggers by bloggers to help find new blogs and help your blog be found. So thank again to Nerdybirdy, and her blog is awesome and everyone should go check her out. 1. How long have you been a reader? I’ve been a reader pretty much my whole life. I’ve loved reading since elementary school and throughout middle school and high school I always had a book with me. There have been periods where I’ve unintentionally taken a break from being a bookworm, but never for long. 2. Suppose you have a wide list of choice, how are you gonna pick which book to read? There is no method to my madness when deciding what to read next. It depends on if I’m in the middle of a series, if there’s a movie adaption coming out, how long it’s been on my shelf, my mood…it could be anything. 3. Any recent favorite adorkable character? 4. Where do you like to buy books? I always buy my books from Thriftbooks, they usually have the books I want for really cheap. It’s the perfect way to build a library without breaking the bank. 5. What is your worst bookish habit? 6. Do you wait for the paperback or grab the hardcover? 7. What’s your hobby beside reading? Is Netflix a hobby? Or a lifestyle? 8. Do you watch any tv shows? If yes, what are your favourite ships? I love Captain Swan (Once Upon A Time) and all my favorite Game of Thrones ships are at least half dead so… But for series that are over, my favorite couples are Cory & Topanga, Chandler & Monica, Jim & Pam, Marshall & Lily and Chandler & Joey (OTP♥). 9. What gift did you get on your last birthday? Since my last birthday was the same day as my college graduation sometimes I mix up what was a graduation gift and what was a birthday gift…but two things I know were for sure birthday were the Funko POP! Ghost action figure (to go with the Jon Snow I already had) I got from my roommate and a big framed photo of Jackie Robinson (my personal hero) stealing home plate on a game that happened on a May 18 (my birthday) from my parents. 10. Which flavour do you love the most? Which flavor of…what? In my mind this was about ice cream (in my mind, everything is about ice cream) so that’s what I’m going with. My favorite ice cream Ben & Jerry’s Half Baked of chocolate chip cookie dough. My books, my TV shows, my movies, baseball, children, traveling, writing and food. I didn’t check to see if any of you have been nominated before, if you have feel free if ignore the nomination or you can play along again for fun! 2. What would you sing at karaoke night? 3. If you could have dinner with any celebrity (dead or alive) who would you dine with? 4. What is your top played song on iTunes? 5. If you had to pick your last meal on Earth what would it be? 6. If you could live in the world of any movie/book/TV show, what story would you live in? 7. How do you eat your Oreos? 8. If you could be anyone in the world (besides yourself) would you do it? Who would you be? 9. What’s the best compliment you’ve received? 10. If you came with a warning label what would it say? 11. Do you watch Star Wars in chronological order (4, 5, 6, 1, 2, 3) or in numeric order?